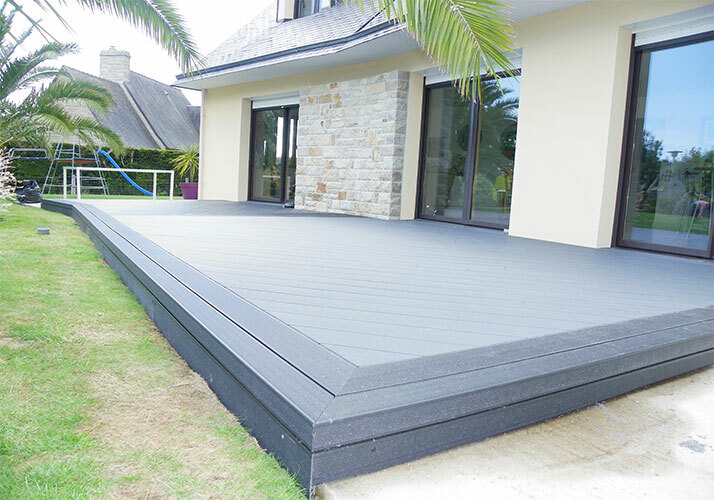 Because WPC has many advantages over simple wood , so it has attracted widespread attention at home and abroad. The material is environmentally friendly materials, can be recycled cost of waste wood and plastic, using this technology to produce out of the wood-plastic composites can replace the use of wood to reduce the felling of forest resources and wood supply shortage of contradictions. Therefore, the WPC is a very promising material, but also a viable, market prospects for the development of innovative technologies, have broad market prospects and good economic and social benefits. 1, environmental protection: WPC is environmentally friendly (because the plastic used plant fibers, additives are environmentally friendly), and the use of waste plastics and plant fibers, reducing (the environmental impact of incineration) of waste plastics and fiber plant emissions ,reduce environmental pollution. 2,Energy Saving: the use of wood plastic materials instead of wood, plastic, wood-plastic material due to the thermal insulation applications in the building, can be significant energy savings. 3, emission reduction: using wood plastic materials, can reduce the use of wood, reducing deforestation, forests absorb carbon dioxide and reduce carbon dioxide emissions. 4, circular economy: wood-plastic material can be recycled,, after years of use can be broken use again. due to wpc advantage , hot sale wpc product already widely use in the world , especially in Europe, So Protecting the environment and reducing wood deforestation start.